Often the message teenagers get is if it makes you happy, do it and live young, wild and free. This can lead teens to spend their youth chasing pleasures instead of reaching higher and making their mark for God. Does God expect teenagers to be young, dumb, and broke, or is there something more to live for? Nineteen year old Khalid Robinson burst onto the scene in 2016 with his hit song Location. Reaching the Top 10 on Billboard Hot R&B Songs chart, Location led to his debut studio release American Teen. Released in March of 2017, American Teen debuted at number nine on the Billboard 200. Khalid’s mother served in the military, causing him to move several times as a child, which made touring from city to city an easy transition. He cites his mother, who was a singer in the Army band, as the primary influence on his music career. In 2018, Khalid was nominated in five Grammy categories including Best New Artist. PASS OUT TO EVERY STUDENT. So you’re still thinking of me. Just like I know you should. I cannot give you everything, you know I wish I could. I’m so high at the moment. I’m so caught up in this. Yeah, we’re just young, dumb, and broke. But we still got love to give. Young dumb, young, young dumb and broke. We argue all the time. You always say I’m wrong.? I’m pretty sure I’m right. When we have our life to live. Yeah, we’re just young dumb and broke. Khalid is a young man who has just finished his high school years, giving him relatability in the things he sings about. He sings with confidence throughout this song, saying things such as, “so you’re still thinking of me, just like I know you should” and “You always say I’m wrong, I’m pretty sure I’m right.” The tune is catchy, and the lyrics are pointed, but are the things he sings about true? Are the teenage years about carefree living and just “giving love” as Khalid says? Or is there something more? AROUND THE CIRCLE: Khalid’s mom was in the Army for many years. If you were going to be in the military, which branch would you choose and why? ASK A FEW: How do you feel about the phrase “young dumb and broke high school kids?” Is it relatable? Offensive? Humorous? Explain. ASK A FEW: Khalid is singing this song to a girl (or girls). What do you think his message is toward this girl (or girls)? ASK A FEW: Why do you think teenagers will relate to this song? ASK A FEW: What does the phrase “run into sin, do it all in the name of fun” mean? Why do you think it’s easy for teenagers to live that way? ASK A FEW: What are three words other than young, dumb, and broke that you would use to describe how you see teenagers? Remember your Creator in the days of your youth, before the days of trouble come and the years approach when you will say, “I find no pleasure in them. ASK A FEW: What does Ecclesiastes 12:1 say we should do in our youth? Why? ASK A FEW: What do you suppose it looks like in your life to remember your Creator in the days of your youth? ASK A FEW: What do you think wisdom means? Why is it important? ASK A FEW: How can you increase wisdom in your life at a young age? ASK A FEW: Would you say you live in a way that would be considered careful and wise? Why or why not? AROUND THE CIRCLE: If God is inviting you to a better way to live, what would keep you from choosing His way instead of living the life Khalid sings about? 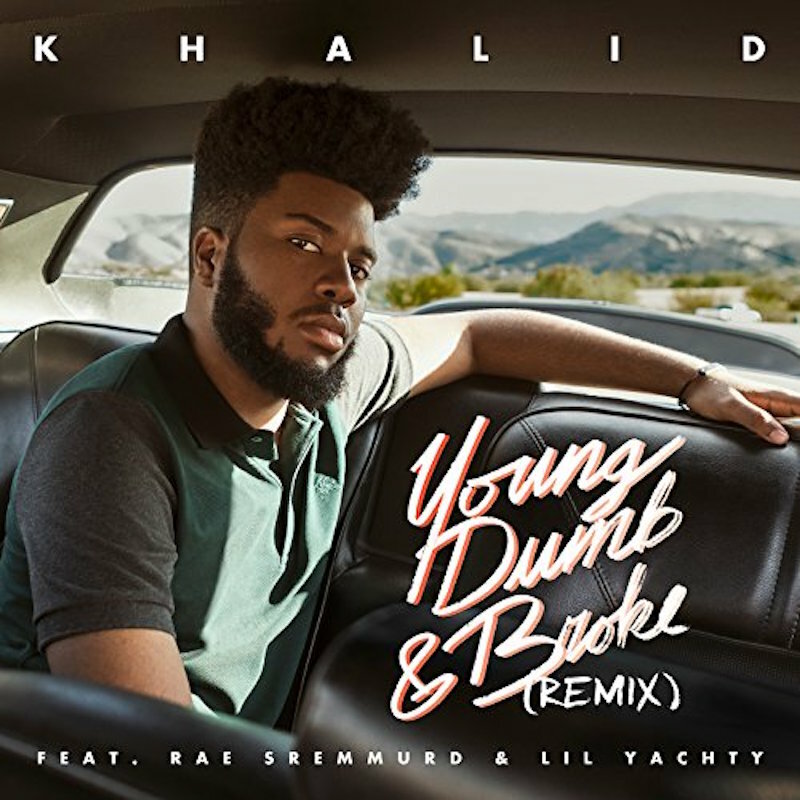 During this time, we listened to Khalid’s R&B song “Young Dumb & Broke.” We heard him sing about making choices with minimal concern for consequences because that’s just part of being young. The word translated death can also mean destruction. There is a way that will seem right, but in the end it won’t take you where you want to go. Can you think of something in your life that has seemed right, but ultimately didn’t end up taking you where you thought it would? Is it possible that God loves you so much that He wants to not only save you from making regrettable choices in your youth, but wants to shape you into something greater? Is it possible that God is inviting you to use your youth for something beyond just chasing what feels good for a moment? It is easy to hear catchy fun songs like Young Dumb & Broke and allow the sense of relatability to keep us from engaging further with the message. The irony here is this song was written by a guy who is young, but clearly not dumb or broke! Hopefully during this time, you have been able to think through what is being communicated in this song and considered if you believe it represents your generation, or if there is something more to strive toward. The truth is God never puts limits on age when it comes to making your mark for Him. He calls young people to remember Him in their youth and live carefully with wisdom because He knows there are things that will easily distract from living the life He has created you for. When God says don’t, He means don’t hurt yourself. There are things that seem harmless, but in the end lead you to a place God never wanted you to go. Let His love guide you toward a higher way to live. Let your youth be spent pursuing the One who made you, loves you, and wants you to be involved in His work. Make your mark for God now!